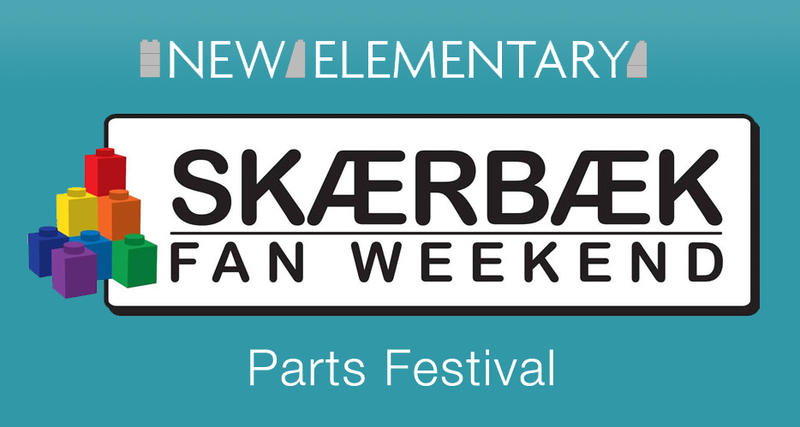 Are you already registered to come to Skærbæk Fan Weekend in Denmark in late September? If not, I am afraid you are too late for this year, folks... but if you are registered: New Elementary will be running a one-off special building workshop and we'd love you to come and build with some new elements! Following a short introduction from myself and New Elementary contributors Jonas Kramm and Chris McVeigh, you will be given some of the very latest LEGO® pieces and about an hour and a half to experiment and create. You can make a MOC or a little vignette or simply some tablescraps that explore what is possible with the new elements. It's not a competition! We just want to see what inventive LEGO shizzle you come up with and later on, we will share the most interesting stuff here on the blog for the benefit of readers. We only have 60 places available for this one-off event. Some people have been invited to a special pre-opening of LEGO House on the Friday before Skærbæk. New Elementary will be there too! 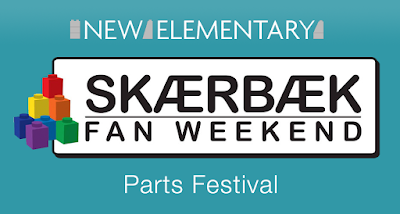 So if you're going to that but not coming to Skærbæk, be sure to let me know (in the comments below or using the contact form on the righthand column of the desktop site) because it will be really exciting to meet New Elementary readers! BrickLink, the world's biggest LEGO marketplace has all the parts and sets you need. Please follow any link from New Elementary to BrickLink before you buy! I'm so gonna be there! Ahh man i need to attend one of these events. If I parted with some of my rare stuff I could easily do so. But for now I'll wait it out. Yeah, rare stuff is prettier than us! Will look forward to seeing you on Friday at the Lego House opening. Will be there with my wife. Wish I could be at the Sunday event, but we fly out that morning. Will be great to meet you at long last, Miro! I'll be there on Friday and on Sunday. ;) See you there. Looking forward to meeting you at the Lego House fan event Friday. Will it be possible to be a spectator Saturday? The event is Sunday btw. Not yet sure about spectators during, will find out, but the intention is that afterwards there will be a display for what everyone has built to come and see. Looking forward to see you in Lego House and on the workshop. Looking forward to see you in the Legohouse and in Skærbæk even though I missed out on signing up to the workshop. I was too late to book but I'll be at the Lego house as well. Thanks guys! Very good workshop with a lot of fun! I'm so glad! Thanks Andreas.